There are two new Microsoft Azure security features: Microsoft Azure Security Center and the Azure Container Service. In this e-guide, expert Rob Shapland breaks down how they aim to boost cloud security for enterprises. 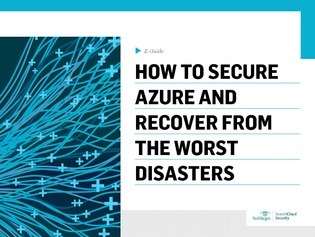 Learn how to keep Azure secure and keep your business going if the worst is realized.